Dr. Hochstatter is a lifelong resident of Amboy; graduating from Amboy High School in 1989. 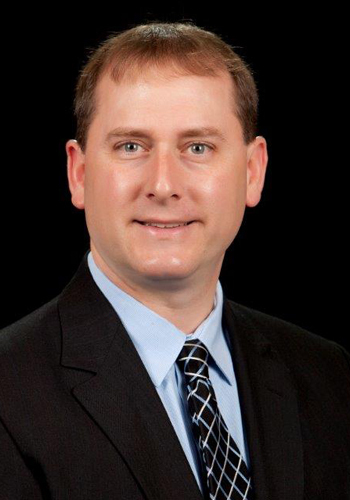 Dr. Hochstatter received his undergraduate degree in biology from the University of Wisconsin – Milwaukee in 1994. He then decided to follow in the footsteps of his father; Dr. Jerome Hochstatter D.D.S., enrolling at Southern Illinois School of Dental Medicine. After graduating from dental school in 1999, Dr. Hochstatter returned to Amboy and has been practicing all phases of general dentistry ever since. Dr. Hochstatter is a member of the American Dental Association, past president and current member of the Lee-Whiteside Dental Society, and current member of the Illinois State Dental Society & Chicago Dental Society. His interests include fishing and helping coach his children’s various sporting events. Dr. Hochstatter is in the office Tuesday, Wednesday, Thursday, Friday & Saturday. Dr. Hochstatter lives in Amboy with his wife, Lisa, and four children. Dr. Klein. grew up in Sublette, IL and graduated from Amboy High School in 2000. He received his bachelor's degree from the University of Illinois at Champaign before receiving his dental degree from the University of Illinois at Chicago in May 2010. Dr. Klein moved back to his hometown and joined Dr. Hochstatter in June 2012. Dr. Klein served in the Air Force National Guard from 2000-2006 and is a Veteran of Operation Iraqi Freedom, having served actively in the Middle East from Feb 2003 – Sept 2003. Dr. Klein is current president of the Lee-Whiteside Dental Society, and member of the Illinois State Dental Society, American Dental Association, and Chicago Dental Society. Along with Dr. Hochstatter, Dr. Klein provides a full range of dental services including preventative care, restorative, pediatric care, extractions, endodontics (root canals), dentures, implants and cosmetic dentistry. 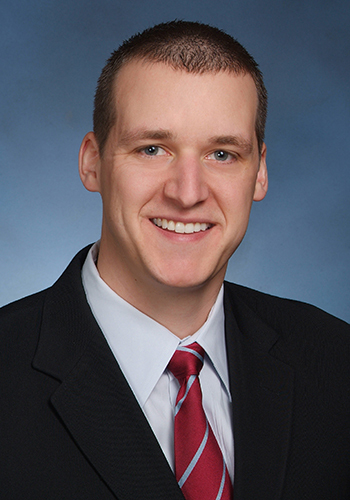 Dr. Klein currently resides in Amboy with his wife, Kelly, and their four young children.